Shilpa Shetty came along with her husband Raj Kundra and their son Viaan visited Isckon temple in Juhu, a western Mumbai suburb, on the occasion of Janmashtami. A devotee also applied tilak on Viaan's forehead as Shilpa Shetty carried him. 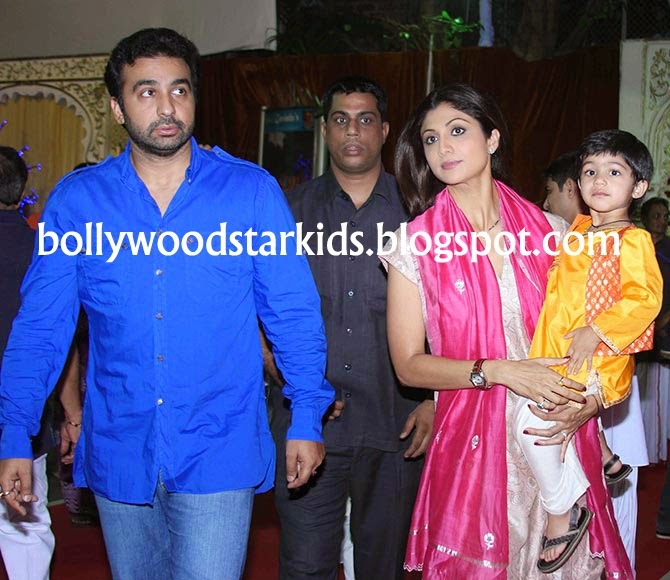 Shilpa Shetty and Raj Kundra's son Viaan Raj was born in May, 2012. Shilpa Shetty with her son Viaan.